Welcome to Stefan Vorkoetter’s web site! I’m a private pilot and model aviation hobbyist, slide rule, calculator, fountain pen, and watch collector, electronics hobbyist, Hammond organ enthusiast, and software developer living on a Fjord horse farm in Ontario, Canada. This page is a gateway to the ever growing collection of articles I like to write describing my projects and hobbies. If your interests coincide at all with mine, I’m sure you’ll find something useful here. 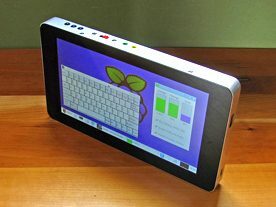 After recently discovering the Raspberry Pi and its matching 7-inch touchscreen, the first thing that popped into my head was that I could build a tablet. Mine certainly isn’t the first Pi-based tablet, as Googling “Raspberry Pi Tablet” will reveal, but I believe it to be the smallest and lightest so far. This was a make-it-up-as-I-go project, and this article is as much about the journey as the end result. In-depth tests, reviews, and discussion of batteries, chargers, computers, and gadgets I use. DIY projects and advice for hobbyists, experimenters, musicians, and aviators. Over 50 articles demystifying the design, construction, theory, and practice of electric R/C planes. Aircraft, pilot gear, aerial photography, flight reports, and all things aviation! Follow my progress in words and pictures as I build an Evans single seat VW powered Volksplane. 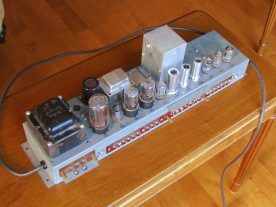 Understanding, maintaining, and modifying the Hammond tone-wheel and vacuum tube organ. Repair, programming, and use of HP programmable calculators from the 1970s to today. My collection of slip-sticks and whiz-wheels, the calculating tool of choice for 350 years. Vintage and modern fountain pens, inks, paper, and mechanical wrist watches. Articles and papers on other topics that just don't fit neatly into any of the categories above. I’ve owned my Hammond organ for eight years now, and although working quite well, there was still an unresolved issue of a rumbling or rushing sound, whether or not anything was being played at the time. Such sounds in old equipment are often caused by degrading carbon resistors. Rather than attempt to isolate and replace the problematic resistors, I decided to rebuild from the ground up. I’ve been collecting slide rules since 2007, and until now, have kept my collection in a large shoebox in a drawer. I have been wanting to build a proper display case for them for a few years now, and finally got this project underway over the 2015 Christmas holiday. 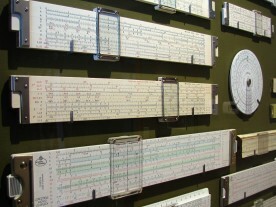 The glass is in a removable frame, making it easy to access the slide rules to use or show to friends. 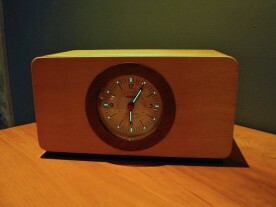 For the past twenty years, I’ve been waking up to an LED alarm clock, but the large glowing red digits disturb my sleep. As both an electronic hobbyist and amateur watchmaker, I decided to build my own new alarm clock, with luminous analog dial, gradual wake-up beginning with soft lights simulating a sunrise, and a random music generator instead of an annoying beeper or irritating radio chatter. 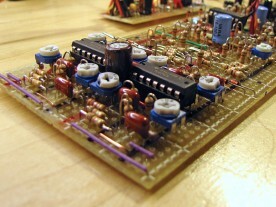 The Stereo Chord EGG was a novel little circuit introduced in kit form by PAiA in 1976 as an interesting application of a then-new top octave generator chip. This kit hasn’t been produced in decades, and commands a premium when one does turn up. Because I recently had an application for this random “music” generator, I decided to redesign it from scratch, reusing as much of the existing design as possible, but staying away from proprietary parts.